I get asked a lot about how I can help people improve their running, so I thought I’d put a list of 20 things I’ve learned that I think will help most people, whatever their level. Some people may disagree with some of the points, and that’s fine. These are all my opinions and not entirely based on facts. After reading, if you enjoy the post, it would be great if you could tag your running friends or share the post. Hopefully it will help as many people as possible. There’s a link to my website at the bottom too if you’re interested in finding out more about me. 1. Choose one main goal or event and focus your training around it. 2. Practice running faster for short periods. Your pace should be the same or faster than you will run in your race or event. 3. Aim for 2-3 more intense days each week, but remember to take easy days in between. 4. Run how you feel. If you feel tired, take it easy. If you feel good, push yourself. 5. Each run should have a purpose, either to train your body or to allow the body recover. 6. Most races and events have hills. Practice them regularly and actively look for them. 7. Take rest days now and again. 8. Stay hydrated with water. Avoid too many sugary drinks unless training for longer endurance races. 9. Work out what pace you need to run in your event to improve your times or positions. Then use this in your training programme. 10. Use softer surfaces for most of your mileage. Grass and trails are great for reducing the impact on your joints. 11. Train with others regularly but also learn how to run on your own. 12. To avoid injuries and illness, be patient with your running and don’t rush things. 13. Keep a training diary. Include your miles each day, times, pace, how you felt and your total miles for the week or month. You can use this to reflect on your progress. 14. Race regularly. Great for motivation and fitness. 15. Do a variety of runs to keep things fresh and exciting. Track, roads, fells, cross country, trails are all excellent. 16. Regular stretching & massage will keep you fresh throughout the year. 17. Run with faster runners to push yourself, run with slower runners for confidence building. 18. Strength training is fantastic and will improve your running. Start off once per week with simple bodyweight exercises such as squats with good form. 19. Try not to compare yourself to others too much. Focus on getting closer to your targets a little each week/month/year. 20. Start all of your runs at an easy pace until you’ve warmed up. You can always speed up later on. About me….. I’m a runner with 10k time of 32 mins and half marathon time of 70 mins. 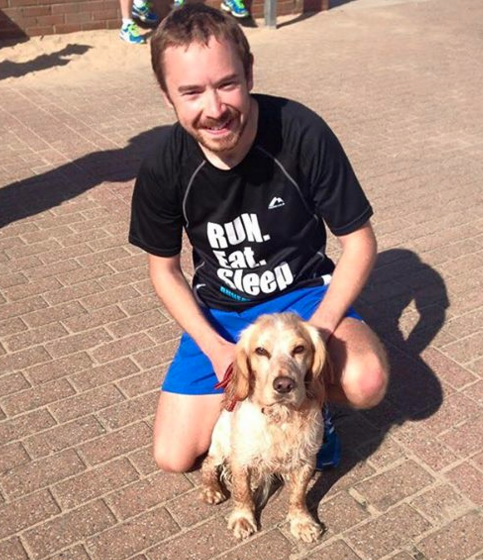 I coach runners individually and as a group at www.runeatsleep.co.uk and organise a number of races in South Shields. Check out my website if you’d like to find out more.